The last meet up was a great success. You can see the board games that made an appearance above. 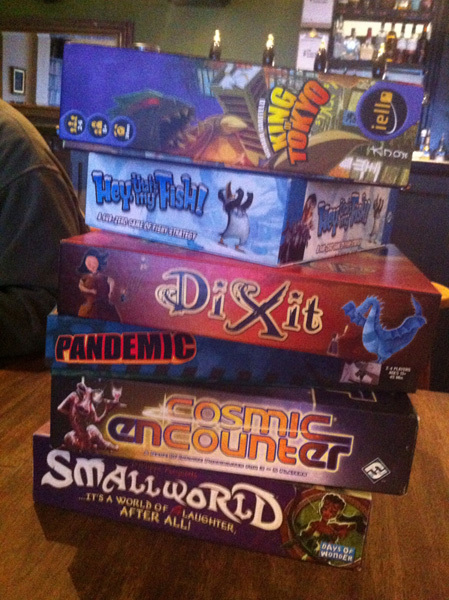 And we had two tables of games going at the same time. We’re doing all again next Sunday 21st Oct in the Black Sheep pub at 3pm.